YGRENE is the same PACE program for Northern California homes whereas the HERO home loan is for Southern California. Both are similar programs but it’s important to understand each and how to get out of it if you have gotten yourself into one thinking it will benefit you in the long run. The HERO program is a local government approved program that offers up to 100% financing to homeowners looking for energy efficient home renovations. It sounds like a good idea on the outside, but there are drawbacks. 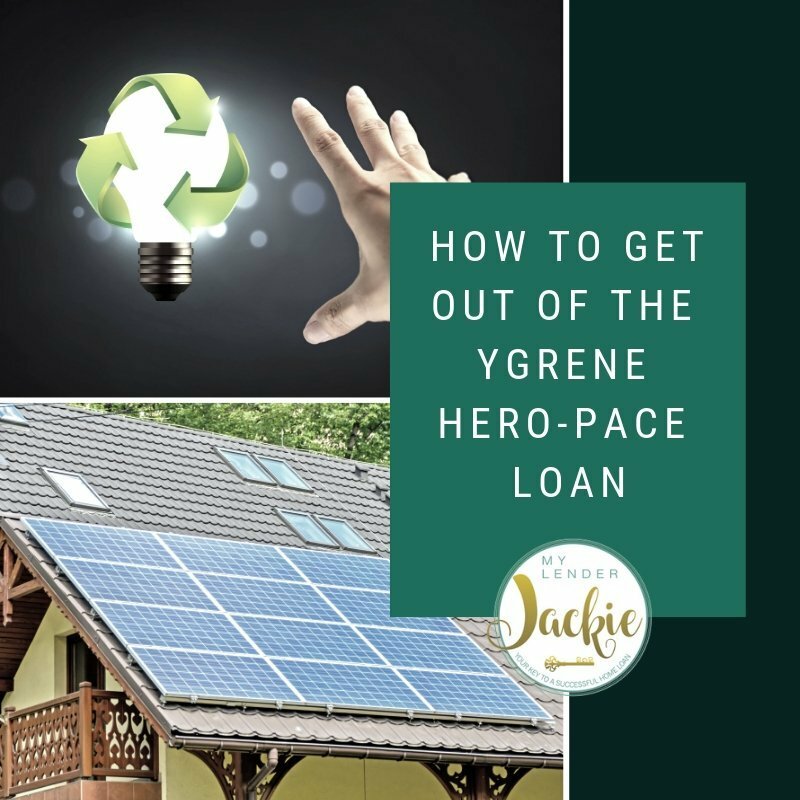 YGRENE also offers 100% financing with no money down and the balance gets tacked on to your property tax, making paying back the loan a little bit easier. The PACE program, which stands for property assessed clean energy, enables low-cost, long-term financing for energy efficient, renewable energy, water conservation, storm protection, and seismic improvements to a home. This is for residential or commercial projects and financing is repaid over time with a special assessment tax on your property tax bill. All three of these programs basically do the same thing, but there are drawbacks and while it might sound helpful, to many homeowners, this is actually done the opposite. People think that upgrading their home even if you have low income or no credit checks sounds like a good idea until you realize how the payments work. If these payments are missed, the homeowner could lose their house. Many of these programs have actually preyed on people’s lack of knowledge about the program. Although these are authorized by governments, they are largely administered and funded by private lenders. Often times, contractors will pitch these loans and sign up consumers through online software with a focus on independent solar, plumbing, and roofing upgrades. The idea is to allow more homeowners to finance solar and other energy-efficient projects but they are secured by a property lien and if unpaid, a borrower can be foreclosed upon. Most consumers start out by putting no money down and usually don’t pay for the first six months. Eligibility is based on your home equity, even though credit score and income are not a factor, which can get a lot of low-income homeowners in trouble. More and more homeowners are agreeing to these loans without understanding them or even needing them. Sketchy contractors are getting these consumers approved on the spot and then inflating the cost of their service and misrepresenting how much the loan will cost or how they are paid back. However, is there really that much savings? There are benefits to the PACE and HERO loans but they don’t work for everyone. They are easy to qualify for, offer 100% financing, can be transferred to the next owner, and offer potential tax credits, but, it’s important to understand the pitfalls and downsides to these loans as well. Most homeowners get quite a payment shock, even if you repay over an extended period. Making additional payments can be burdensome and large, balloon payments might be simply undoable. Although they are relatively easy to qualify for, interest rates are sometimes higher than you’d pay if you simply took out a home equity loan or line of credit to make the improvements. Ease of application does not make the program a smart move. Looks can be deceiving and even if it’s a government program, the contractors behind it may not be looking out for consumers. If you are looking to get out of a YGRENE, PACE, or HERO loan contact me immediately. I have ways that can help you get out of this loan quickly and efficiently.